Hello lovelies! 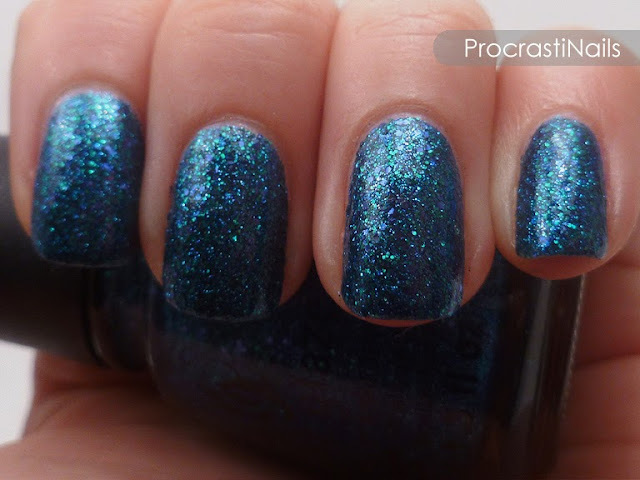 Just a quick swatch today, one of the few colours I picked up from the China Glaze Cirque Du Soleil Worlds Away Collection - Water You Waiting For! This colour truly does make me think of water (like the ocean - the water we have here in Toronto isn't nearly as pretty as this! ), so good job on the naming CG! 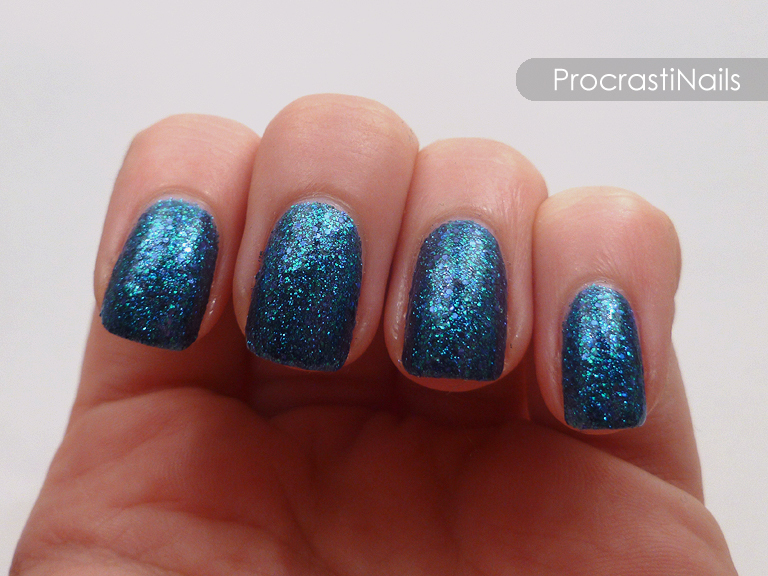 Water You Waiting For is a gorgeous full coverage glitter in shades of blue and green. 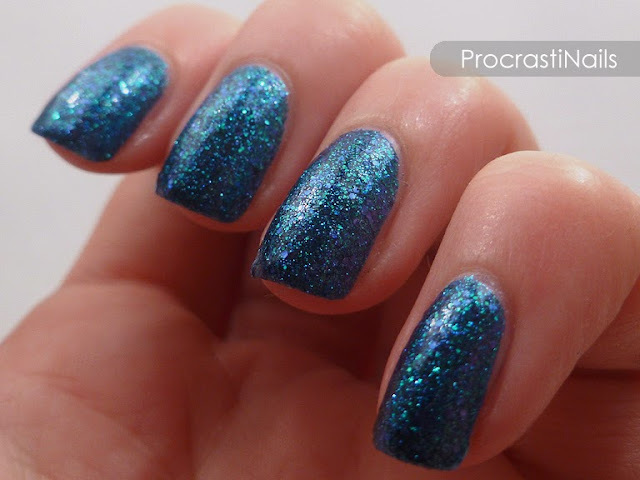 The base of this polish is a blue jelly, and it's loaded with blue and green micro glitter, small green hex glitter and larger indigo blue hex glitter. It might seem like there's purple in there too, but that's just your eyes playing tricks on you! :) This polish was a bit thick but generally went on well, and was opaque after two coats. Pictured here is three coats of Water You Waiting For with one coat of Seche Vite topcoat to smooth things out a bit. There's still a bit of texture coming through, so if you wanted it fully smooth I would suggest a couple coats of topcoat, or one really thick coat. Gah, this is absolutely drool worthy! This is one of my (many) untrieds, and I think I need to remedy that. ;) Beautiful pics! I've just bought this colour and I cannot wait to try it! I've wanted it for ages but never bought it until now!